Tomorrow marks the lone meeting for the City of Thompson’s Legislative and Intergovernmental Affairs (LIGA) committee this month. The agenda includes a letter Federal Transportation Minister Marc Garneau, as well as an invitation for Mayor Fenske to attend the Northern Association of Community Councils 48th Annual General Assembly and Information Expo. The committee will also review a letter from Manitoba Sustainable Development about the Northeast Management Plans and proposed Park Boundary Expansions, and an invitation to attend an asset management readiness assessment workshop hosted by the Association of Manitoba Municipalities. 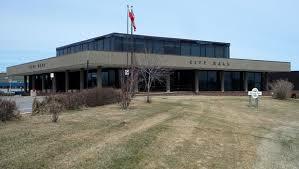 The meeting is scheduled for 3:45pm in Council Chambers at City Hall.